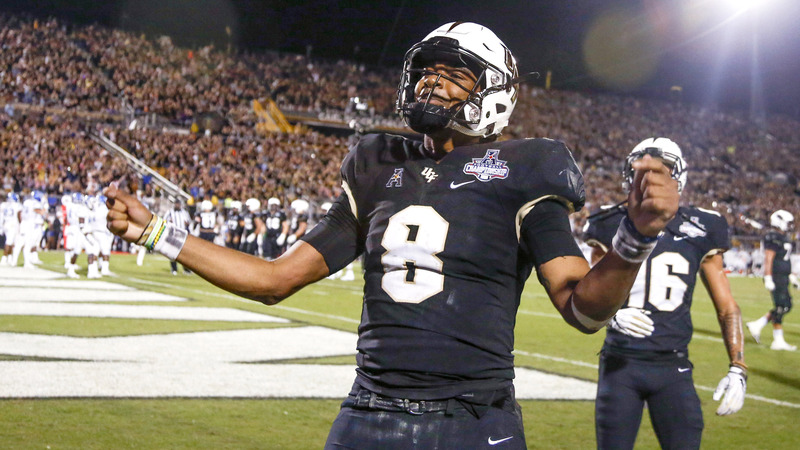 What are the 5 biggest non-CFP bowl games this season? Alabama debuted at No. 1 in the 2018 AP Top 25 preseason poll for the third season in a row and reached the College Football Playoff as the No. 1 team. "But how much do preseason polls actually matter?" you might ask. We analyzed the data and it turns out fans of the AP preseason No. 1 team should be pretty excited. Alabama is the only team that has made the College Football Playoff in all five years of its existence and from 2014 to 2018, the No. 1 team in the AP preseason poll made the playoff four times. The rest of the 2018 field — Clemson, Notre Dame and Oklahoma — were ranked No. 2, No. 12 and No. 7, respectively, in the preseason. Here's how the preseason AP poll correlates to the final College Football Playoff poll in the CFP era. The categories below indicate for each preseason ranking in the AP poll, the teams' average ranking in the final CFP poll, the best finish, the worst finish, the number of times a team has been not ranked in the final CFP poll and the number of times a team with that AP preseason ranking made the College Football Playoff. While the sample size is just five years, recent history says it's best to be ranked No. 1, No. 2, No. 3 or No. 5 in the preseason AP poll. The preseason No. 4 team hasn't just never made the College Football Playoff but its best finish is eighth and its worst finish was outside of the top 25, twice. *Note: When calculating average finish in the CFP poll for teams that were ranked in the preseason AP poll, we assigned a rank value of 30 for any team that wasn't ranked in the final CFP poll. Teams ranked No. 1 through No. 7 in the preseason AP poll have combined for 15 of the 20 CFP appearances with Oklahoma in 2015 making the biggest jump to the top four from No. 19 in the preseason poll. Heading into the season, the averages said that three of the top seven teams in the preseason AP poll make the CFP. That held true again in 2018 with Alabama, Clemson and Oklahoma. The first five years of the playoff also tell us that, on average, one team from outside the top 10 of the preseason AP poll will make the CFP. Notre Dame was the team this season at No. 12. Clemson (No. 12 in 2015), Washington (No. 14 in 2016), Georgia (No. 15 in 2017) and Oklahoma (No. 19 in 2015) have also proven it's possible to climb into national title contention from a lower ranking in the preseason poll. If you're feeling confident, pick a team from outside the top 10, along with three schools ranked in the top seven of the preseason poll, because recent history says that's usually the recipe for determining who will be playing for a shot at the national championship.